Abstract intelligence is a human enquiry of both natural and artificial intelligence at the reductive embodying levels of neural, cognitive, functional, and logical from the bottom up. This paper describes the taxonomy and nature of intelligence. It analyzes roles of information in the evolution of human intelligence, and the needs for logical abstraction in modeling the brain and natural intelligence. A formal model of intelligence is developed known as the Generic Abstract Intelligence Mode (GAIM), which provides a foundation to explain the mechanisms of advanced natural intelligence such as thinking, learning, and inferences. A measurement framework of intelligent capability of humans and systems is comparatively studied in the forms of intelligent quotient, intelligent equivalence, and intelligent metrics. On the basis of the GAIM model and the abstract intelligence theories, the compatibility of natural and machine intelligence is revealed in order to investigate into a wide range of paradigms of abstract intelligence such as natural, artificial, machinable intelligence, and their engineering applications. Intelligence is a driving force or an ability to acquire and use knowledge and skills, or to inference in problem solving. It is a profound human wonder on how conscious intelligence is generated as a highly complex cognitive state in human mind on the basis of biological and physiological structures. How natural intelligence functions logically and phisiologically? 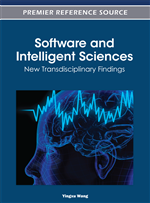 How natural and artificial inteligence are converged on the basis of brain, software, and intelligence science? It was conventionally deemed that only mankind and advanced species possess intelligence. However, the development of computers, robots, software agents, and autonomous systems indicates that intelligence may also be created or embodied by machines and man-made systems. Therefore, it is one of the key objectives in cognitive informatics and intelligence science to seek a coherent theory for explaining the nature and mechanisms of both natural and artificial intelligence. The history of investigation into the brain and natural intelligence is as long as the history of mankind, which can be traced back to the Aristotle’s era and earlier. Early studies on intelligence are represented by works of Vygotsky, Spearman, and Thurstone (Bender, 1996; Matlin, 1998; Payne and Wenger, 1998; Parker and McKinney, 1999; Wilson and Keil, 2001; Lefton et al., 2005). Lev Vygotsky’s (1896 - 1934) presents a communication view that perceives intelligence as inter- and intra-personal communication in a social context. Charles E. Spearman (1863 - 1945) and Lois L. Thurstone (1887 - 1955) proposed the factor theory (Lefton et al., 2005), in which seven factors of intelligence are identified such as the verbal comprehension, word fluency, number facility, spatial visualization, associative memory, perceptual speed, and reasoning. David Wechsler’s intelligent measurement theory (Lefton et al., 2005) models intelligence from the aspects of verbal, quantitative, abstract visual, and short-term working memory reasoning. He proposed the Wechsler Adult Intelligence Scale (WAIS) in 1932. Arthur Jensen’s two-level theory (Jensen, 1969, 1970, 1987) classifies intelligence into two levels known as the associative ability level and the cognitive ability level. The former is the ability to process external stimuli and events; while the latter is the ability to carry out reasoning and problem solving. Howard Gardner’s multiple intelligences theory (Gardner, 1983, 1995) identifies eight forms of intelligence, which are those of linguistic, logical-mathematical, musical, spatial, bodily-kinesthetic, naturalist, interpersonal, and intrapersonal. He perceives that intelligence is an ability to solve a problem or create a product within a specific cultural setting. Robert J. Sternberg’s triarchic theory (Sternberg, 1997, 2000, 2003) models intelligence in three dimensions known as the analytic, practical, and creative intelligence. He perceives intelligence as the ability to adapt to, shape, and select environments to accomplish one’s goals and those of society. Lester A. Lefton and his colleagues (Lefton et al., 2005) defined intelligence as the overall capacity of the individual to act purposefully, to think rationally, and to deal effectively with the social and cultural environment. They perceive that intelligence is not a thing but a process that is affected by a person’s experiences in the environment.